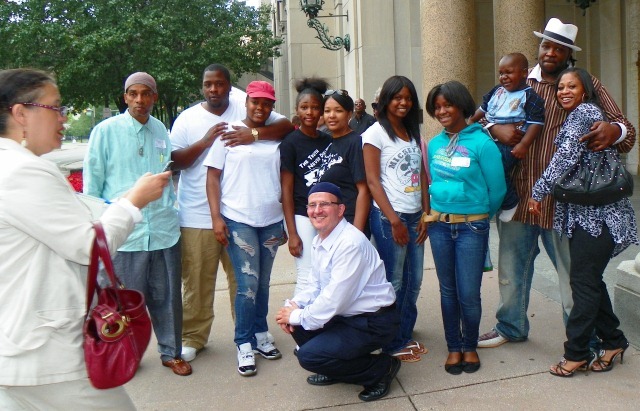 Detroit News reporter Oralander Brand-Williams takes photos of Davontae’s family and supporters after appeals court hearing Aug. 6, 2013. 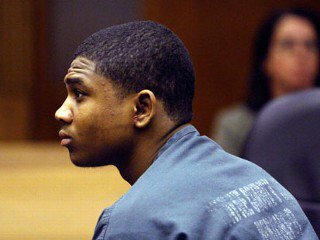 DETROIT – The family of Davontae Sanford was hopeful Aug. 6 after a Michigan appeals court panel heard arguments that his guilty plea to four drug-house murders on Runyon Street in 2007, which took place when he was 14, should be withdrawn. His attorney Kim McGinnis also argued that Vincent Smothers, the admitted hit man who later confessed to the murders and said the child was not involved, should be allowed to testify in the case. She additionally asked that experts on police interrogation methods and false confessions by juveniles be allowed to testify. Sanford, now 20, is serving a sentence of 37-90 years in the killings. Sanford’s mother and his long-time stepfather, Jermaine Tilmon, were just married in July. 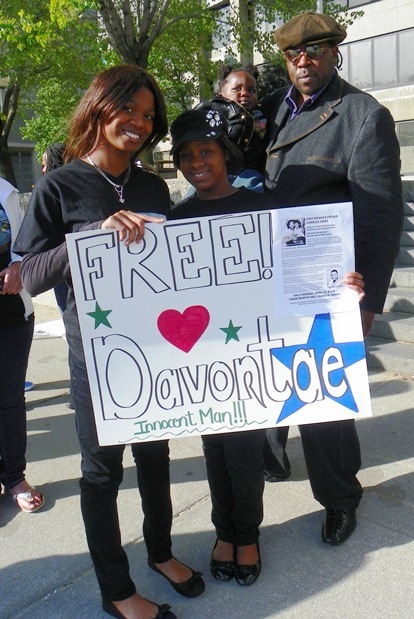 “I believe in my spirit that Davontae’s chains will be broken, and that we’ll be seeing my son home in 2014,” Tilmon said. Sanford’s case has become known world-wide. Reporters from the Detroit News, TV Channel 20, and the Associated Press covered the hearing. Sanford’s trial, and Smothers’s confession to the Runyon Street killings, as well as his guilty pleas in ten other murders, including that of Rose Cobb, whose police officer husband commissioned the hit, have been extensively publicized as well. 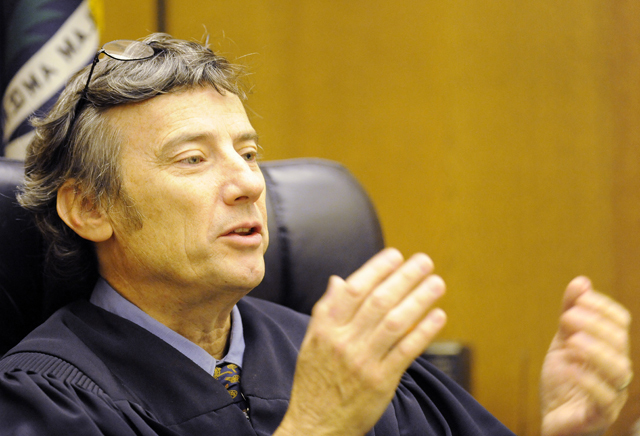 Renowned appeals attorney David Moran of the Center on Wrongful Convictions of Youth, filed an amicus brief in the case. Sanford, who is learning-disabled and blind in one eye, wandered outside on Sept. 14, 2007 to see the police cars at the scene of the killings near his home. Police eventually picked him up, took him back to police headquarters, and interrogated him for hours without the presence of a parent or a lawyer. In what his lawyer Kim McGinnis calls a classic case of false confession, he signed statements saying he and two friends committed the murders. The two friends were never prosecuted. 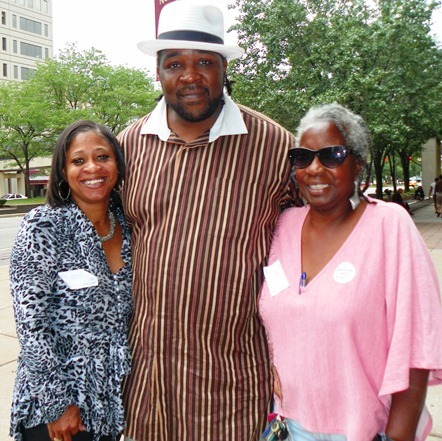 Davontae’s stepfather Jermaine Tillmon and his sisters at rally with Aiyana Jones family April 23, 2012. Smothers, remorseful after killing Rose Cobb, later came forward voluntarily to confess to numerous hits, including the Runyon Street killings. He absolved Sanford of any involvement in a written affidavit later. He at first refused to testify in Sanford’s case on the advice of his attorney. McGinnis said he later agreed to do so after Judge Sullivan would not allow other attorneys who had represented him to waive privilege and testify on Sanford’s behalf. Smothers has signed an affidavit to that effect. An appeals court panel consisting of Judges Mark T. Boonstra, David H. Sawyer and Christopher M. Murray heard oral arguments from McGinnis, of the State Appellate Defenders Office, and Assistant Wayne County Prosecutor Thomas Chambers. Taminko Sanford speaks at joint rally for justice with family of Aiyana Jones, 7, killed by Detroit police. Aiyana’s grandmother Mertilla Jones is next to her. At the outset of the hearing, Judge Murray jumped in immediately to defend Wayne County Circuit Court Judge Brian Sullivan’s ruling upholding Sanford’s guilty plea and disallowing Smothers’ testimony. He and others said they didn’t see that Sullivan abused his dicretion. But as the hearing progressed, the panel became more conciliatory. Rally for Davontae held at Frank Murphy Hall June 29, 2010. Judge Murray posited that the case could be sent back specifically to Judge Sullivan with Smothers’ testimony mandated. He asked if the defense would be happy with whatever decision Sullivan rendered. Sullivan heard the case originally with a court-appointed public defender representing Sanford. McGinnis and SADO took the case on appeal to ask Sullivan to overturn Sanford’s guilty plea. Those proceedings lasted over two years. “Judge Sullivan ignored and trivialized the evidence,” McGinnis said during the appeals court hearing. She noted Smothers’ 14-hour confession to the various hit killings was videotaped and that he knew details of the Runyon Street murders that not even the police knew. She said he identified a .45 caliber gun found at his accomplice Ernest Davis’ house as a murder weapon in the Runyon Street killings, and police crime lab technicians later confirmed that. She said an AK-47 used in those killings was also used in the other killings to which Smothers confessed. She pointed out that there were numerous inconsistencies in Sanford’s confession, and that the police videotape of his confession only involved him reading a prepared written confession and agreeing that was his statement. 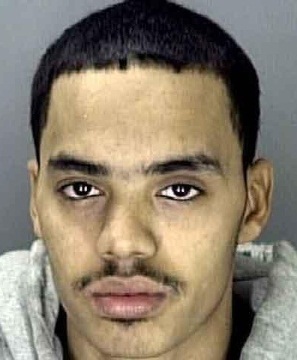 Davontae at court hearing in 2010. Judge Murray said he found it hard to believe that police would have provided Sanford with details of the killing found in his confession. McGinnis said she would provide the appeals court with videotapes of both the Smothers and Sanford confessions. Asked by the panel why no charges were ever brought against the two people Sanford claimed helped him in the killings, Chambers said he did not know. “They just sent you here to clean up the mess, right?” Judge Sawyer remarked rhetorically. Wayne County Prosecutor Kym Worthy. Wayne County Prosecutor Kym Worthy has charged neither Smothers nor Davis in the Runyon Street murders, although she charged Smothers in other killings he confessed to. Instead, her office has relentlessly pressed its case against Sanford. In March, she also charged a witness in a 2009 hearing in front of Sullivan, William Rice, formerly head of the Detroit Police Department’s homicide section, with perjury in a capital case, meaning he faces up to life in prison. 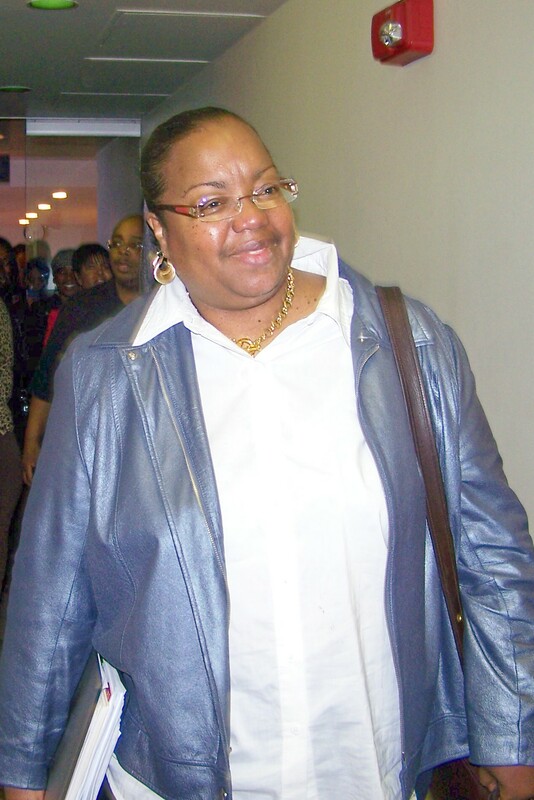 Rice testified during that hearing that Sanford was with him and his great-aunt Cheryl Sanford at the time of the killings. The prosecution presented complex testimony regarding Rice’s location from a cell phone tower expert. McGinnis argued at the time that such testimony is not reliable. 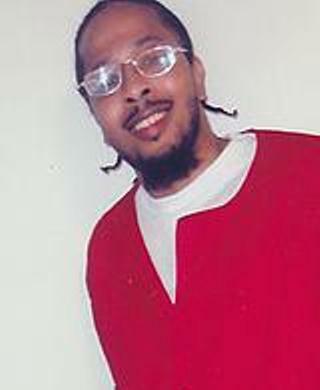 Smothers is currently serving sentences of 50-100 years involving ten murders committed in July, 2006, Jan. 2007, May, 2007, June, 2007, and Dec. 2007. He is incarcerated in the Michigan Reformatory at Ionia at Security Level 4, while Sanford is incarcerated at the Ionia Correctional Facility at Security Level 5, a higher rank. McGinnis said Detroit Police Sergeant Ira Todd testified earlier that Smothers and Davis were part of the “Medbury Goons,” a murder-for-hire enterprise. Asst. Prosecutor Chambers argued its chief task was to “hide guns for hire.” Todd brought Smothers’ confession to the Runyon Street killings to the attention of investigators, to no avail. The killers spared the lives of that witness and a seven-year-old child in her room. 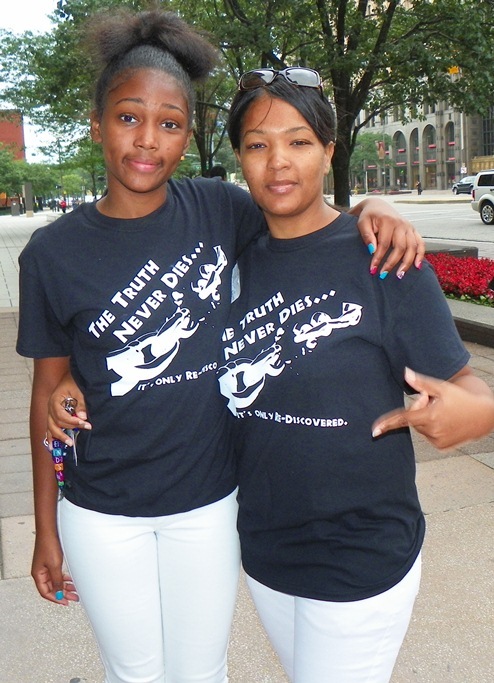 Valerie Buford and her daughter Lakaisha Frye, 14, attended the hearing in support of the Sanford family along with others. Her daughter said she has learned not to speak to the police without a lawyer present. Another courtroom observer, Andrea West, said she has been supporting the Sanford family for the last three years. Stop The War On Our Youth! – – A No Struggle, No Development Production! By KennySnod * Stop The War On Our Youth! 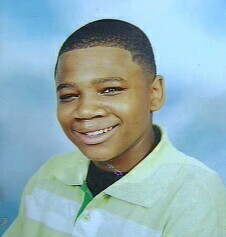 There’s No Justice In Condemning An Innocent Child to Lift In Prison or Death! George Zimmerman, killer of 17-year-old Trayvon Martin, is now out on bond, joining Detroit cop Joseph Weekley, killer of 7-year-old Aiyana Stanley Jones. 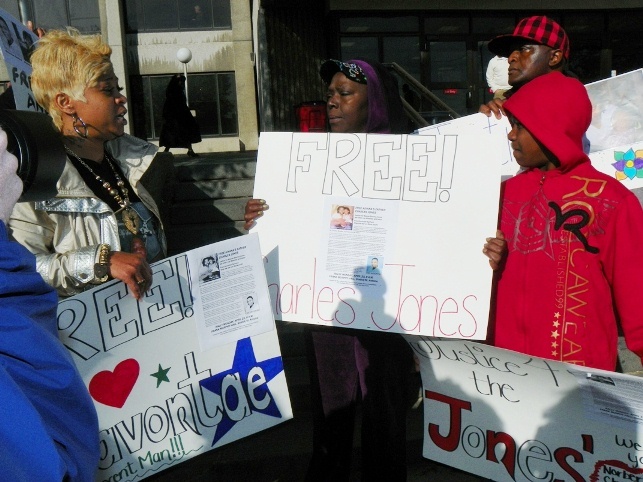 They are free to roam the streets, while Davontae Sanford, 14 when he went to prison for murders to which another man confessed, and Charles Jones, Aiyana’s dad, are behind bars. 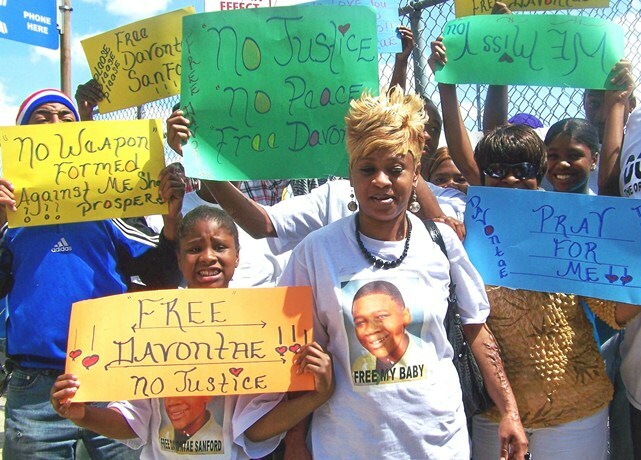 TO HELP ANOTHER WRONGFULLY CONVICTED PRISONER, LEON BENSON, SON AND BROTHER OF VALERIE BUFORD AND HER DAUGHTER, PICTURED ABOVE, GO TO http://leonbenson.wix.com/free?from_fb=1. Great Article Diane. I left the court of appeals that day feeling like Davontae might just get Justice. I have written him letters that have been returned, but will continue to send them. I pray for the family always and pray that this wrong will be made right!